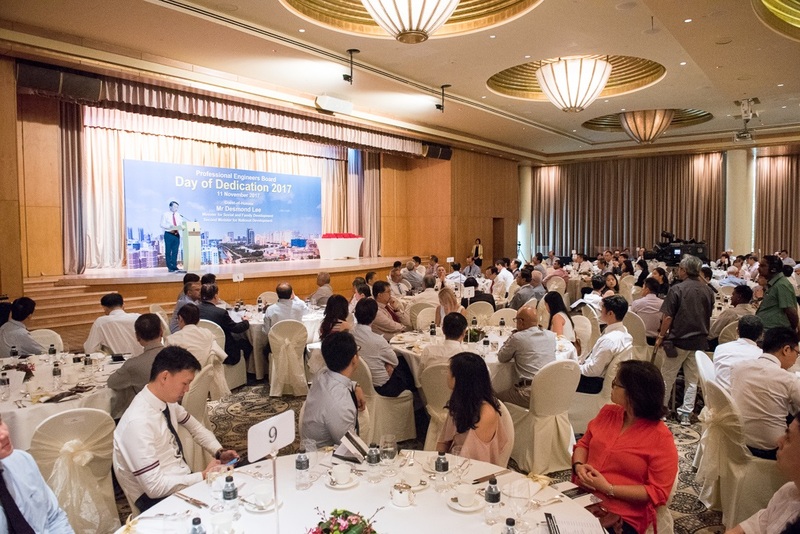 PEB held the Day of Dedication 2017 on 11 November 2017 at the Ritz Carlton Millenia Singapore. 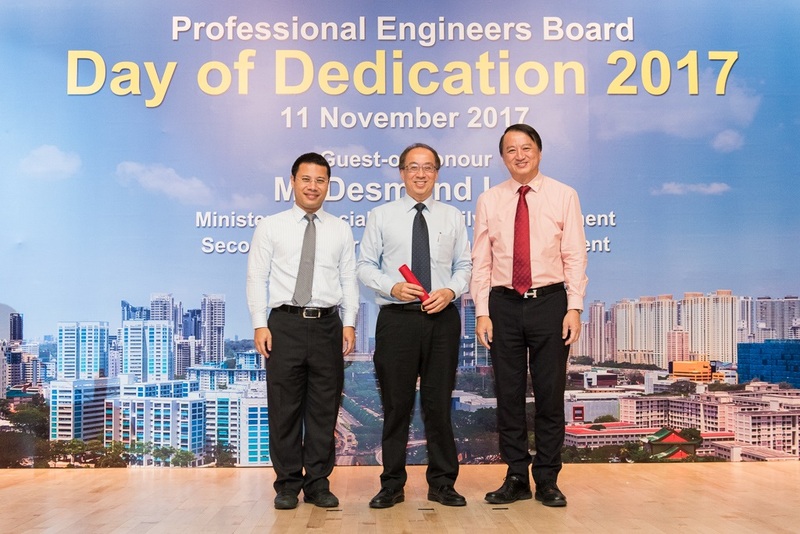 The Day of Dedication recognises the role and contribution of PEs in the development of Singapore's built environment. 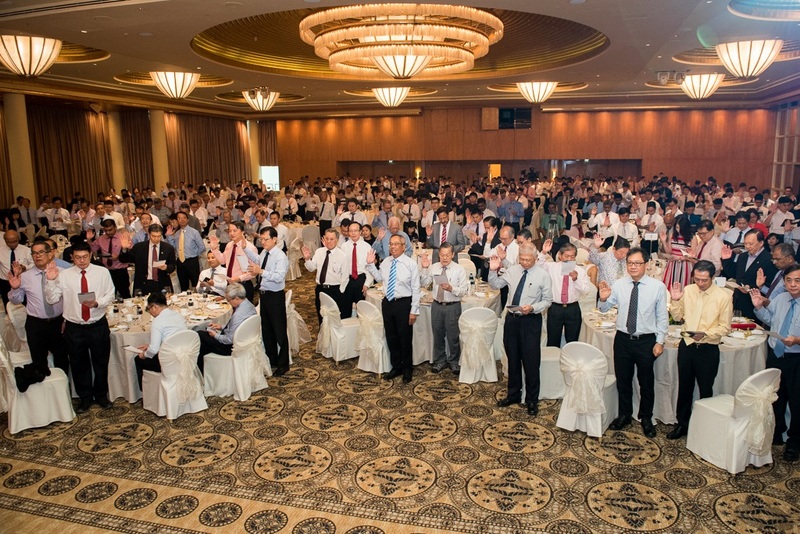 Over 250 PEs attended the ceremony and pledged to continue their service to society and commit to high standards of professional engineering practice. 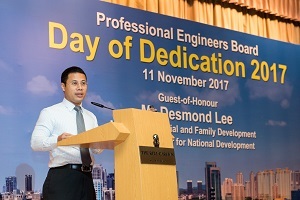 The Guest-of-Honour for the event, Minister for Social and Family Development and Second Minister for National Development, Mr Desmond Lee, presented registration certificates to 145 PEs. This included 47 PEs from the branch of chemical engineering introduced in January 2017. The remaining 98 new PEs were from the branches of civil, mechanical and electrical engineering. 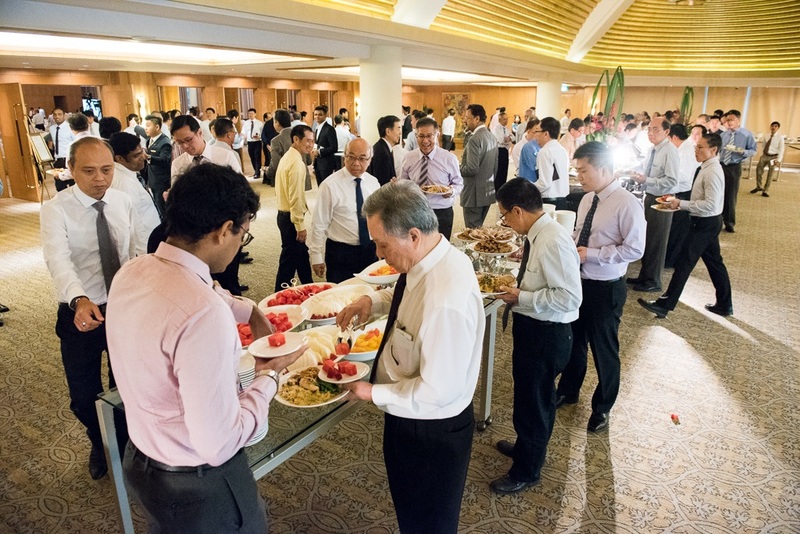 A total of 97 specialist professional engineers were also registered. 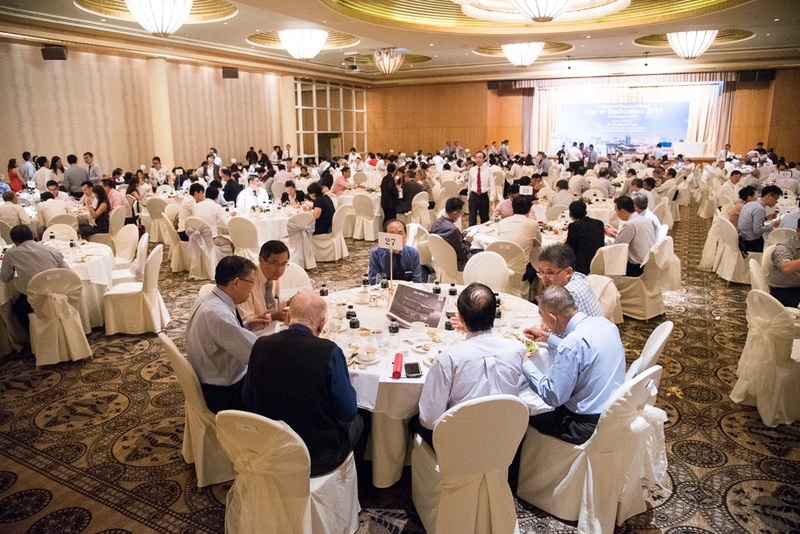 Of these, 95 were registered in the four new specialised branches introduced in January 2017, namely, lift and escalator engineering, crane engineering, access platform engineering and pressure vessel engineering. The remaining specialist PEs were registered in geotechnical engineering. 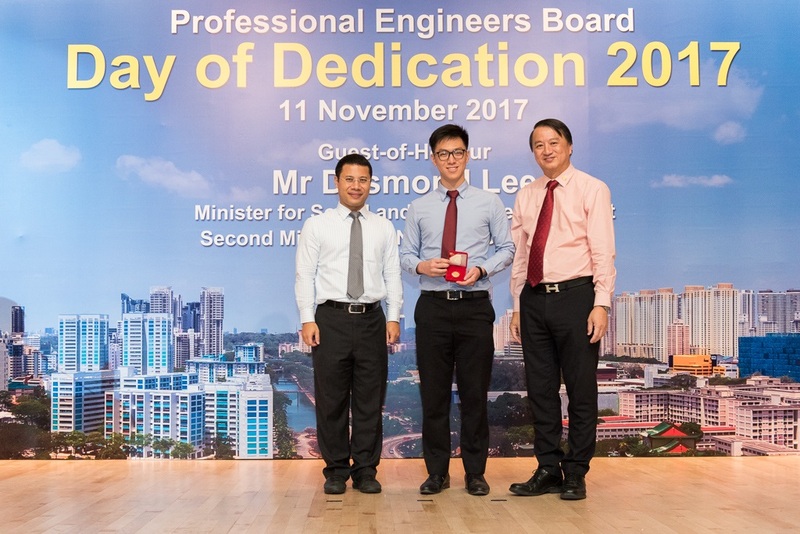 In addition, 15 ASEAN Chartered Professional Engineers (ACPEs) were also presented with certificates, and 12 Gold Medal Awards were presented to outstanding graduates of the National University of Singapore (NUS) and Nanyang Technological University (NTU) undergraduate and postgraduate engineering programmes. 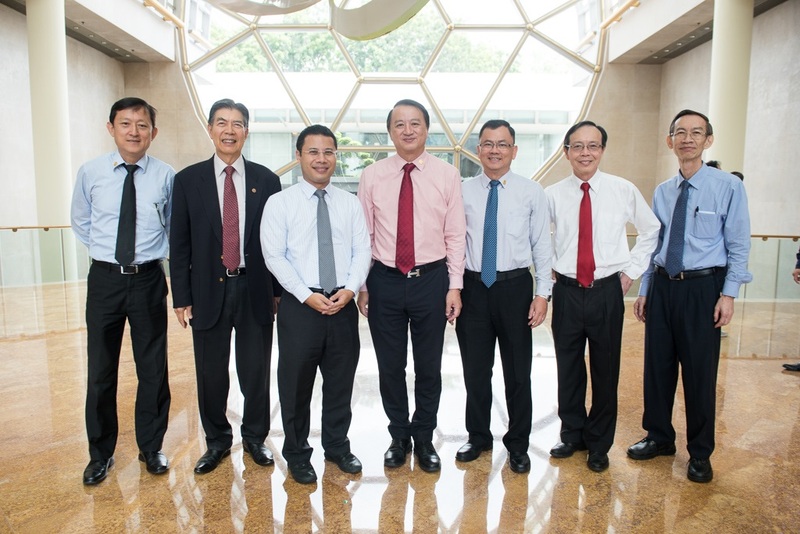 In his address, Mr Desmond Lee said that Singapore would continue to need more engineers due to three main reasons. First, there would be growing infrastructure needs as our city continued to grow and develop. Second, there would be further demand for engineering capabilities with the launch of the Construction Industry Transformation Map. Third, the infrastructure needs of Southeast Asia presented huge opportunities for our PEs to offer their services expertise and knowledge in the region. PEB President Er. 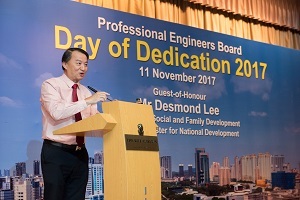 Ho Siong Hin said that to ensure high standards of professional engineering practice, PEB regularly consulted with agencies, universities and industry associations. The objective of these consultations was to seek feedback and explore how we could further develop the profession to better serve the changing needs of stakeholders and the general public. 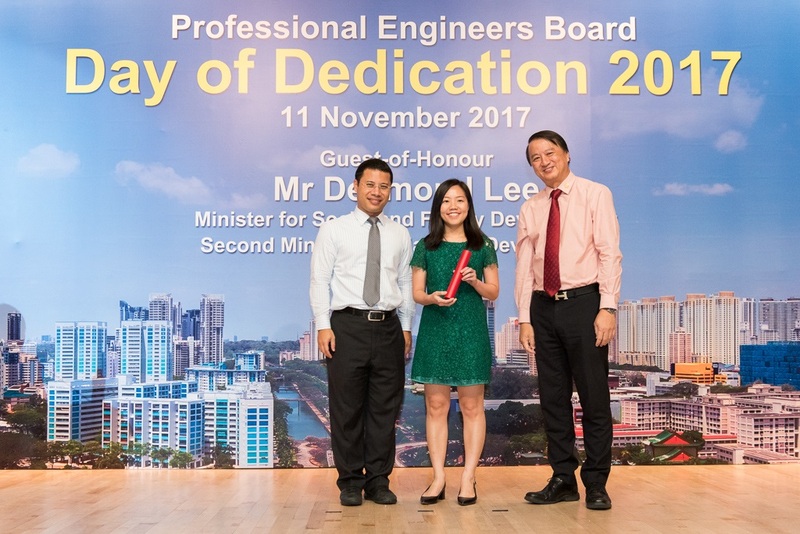 Resulting from these, PEB had introduced a number of changes during the year such as introducing registration of PE in chemical engineering and registration of specialist PE in new specialised branches. 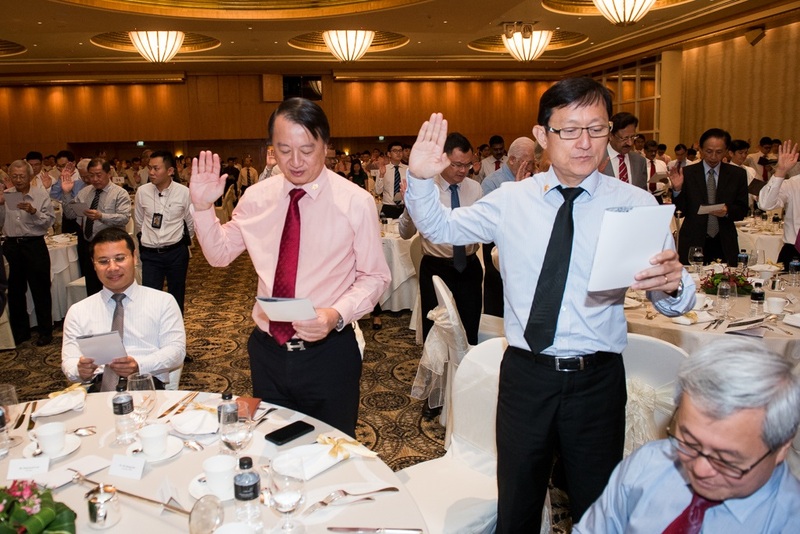 Going forward, PEB would be putting into effect a number of changes related to recent amendments of the PE Act which would make for better regulation and development of the profession.